Amazing price on Too Faced!! Head over to HSN.com where you can score Too Faced Born This Way Foundation + Kabuki Brush for just $29 (regular $73). 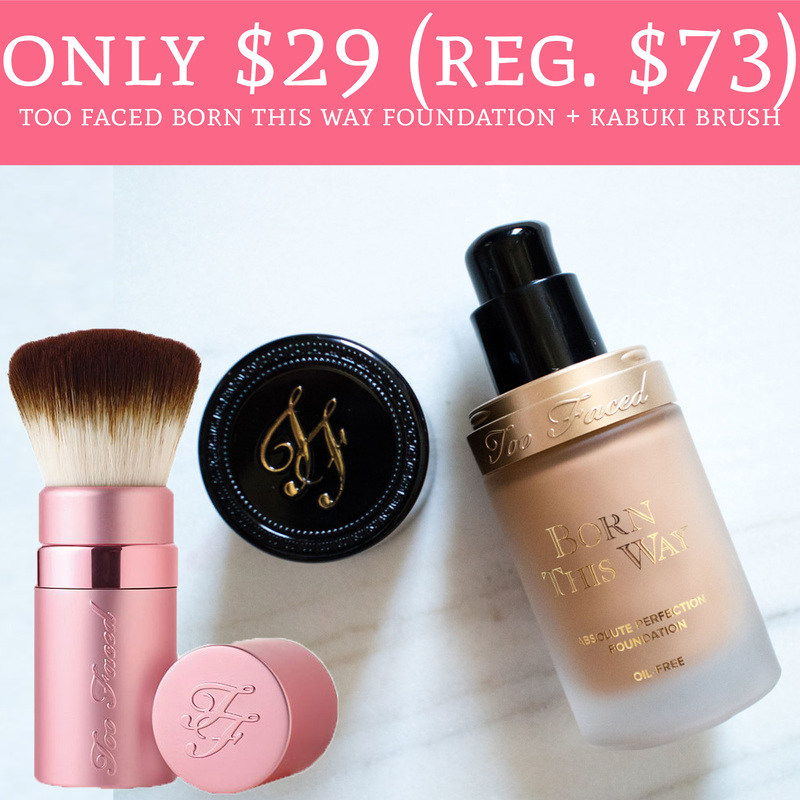 This offer comes a FULL SIZE Too Faced Born This Way Foundation and Too Faced Kabuki Brush. The duo is currently priced at $39 and use promo code NEW2019 at checkout to receive $10 off your order. Keep in mind this promo code is for new customers only. Even sweeter, shipping is FREE. Order yours here!